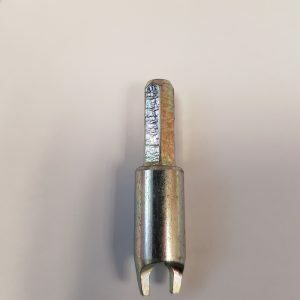 Installation of Best-Grip screw-in studs can be done with a manual installation tool but for even modest quantities the ¼” hex drive installation tool fitted to a variable speed power tool is the way to go for fast and efficient fitment. A couple of turns at a slow speed setting is all that is required to secure the stud into the rubber surface. The tyres can be new or used and do not have to be dismounted from the wheel for stud installation. 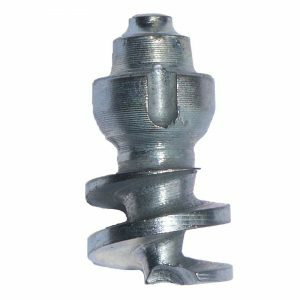 Best-Grip studs are screwed into the tread with the screwed portion of the stud penetrating the tread but not the carcass of the tyre. Placement should be in a regular pattern around the circumference of the tyre with sufficient quantity of studs used to provide the traction required. If driving on roads partially covered in snow or ice then studs should only be applied to the inner and outer shoulders of all the tyres to maintain direction on the tarmac. NB: Installing studs onto tyres which are then used where the surface is hard such as tarmac or concrete REDUCES the coefficient of friction between the tyre and the road surface making steering, braking and traction LESS effective than normal. In the UK it is only permissible to use studs on public roads when they are covered in snow or ice. 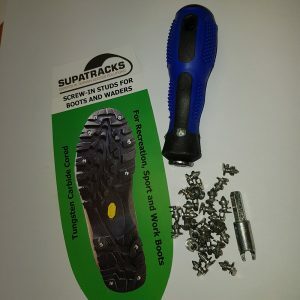 Best-Grip studs can be also installed on mountain bikes, off-road motorcycles, enduro bikes, quads, agricultural tractors, construction equipment, aerial platforms, rubber tracked machines, snowmobiles and even on hiking and work boots. 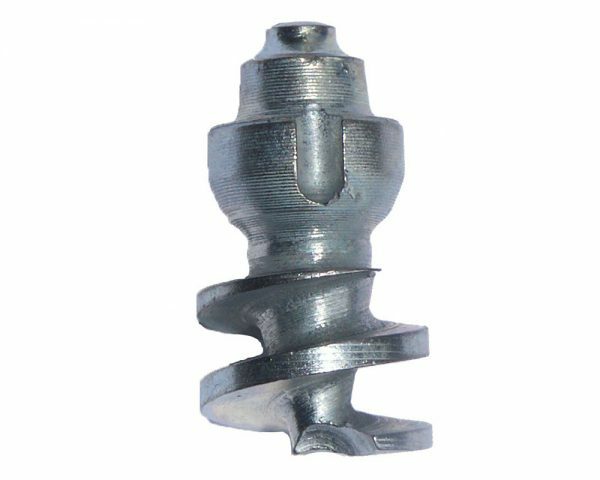 *We do not recommend that Best-Grip screw-in studs are installed into soft competition tyres since these tend to crumble and the studs become loose and can be lost.